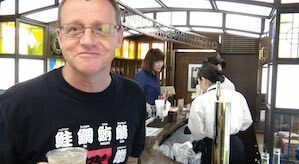 Train travel in Kyushu is not just a means of transport. 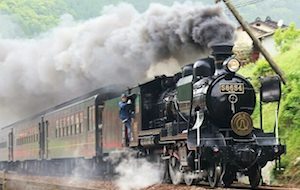 Whether you choose the super-fast shinkansen, the ultra-cool A-train, or the timeless delights of steam, a trip by train will be a big part of your vacation experience. Don’t get squeezed into a tour bus. 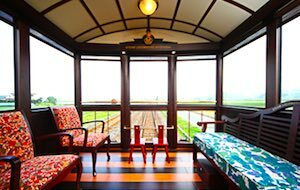 Travel like the locals do and in Kyushu that means travelling by train. Read on to find out more about the excellent options available to the train traveller. Travel the full length of the island from Fukuoka at the top to Kagoshima at the bottom in less than 90 minutes. It’s a fun, fast yet relaxing way to see 300 km of countryside speed by. Take advantage of the amazing deals available using the JR Rail pass (only available for tourists). It can be a bit complicated so we’ll help you out choosing the right JR Rail Pass option for you. 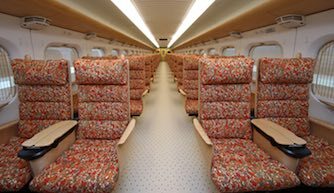 Rail travel in Kyushu offers not only speed but style. 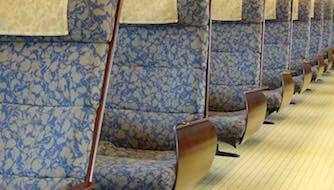 You’ll have the chance to ride any number of classy designer trains. 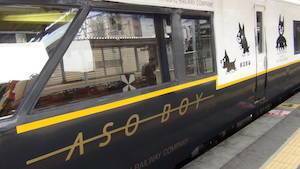 A steam train, a kid’s train and even grab a jazzy ride serving whisky high-ball. Take a look at some railroad options. 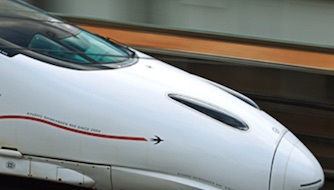 No trip to Japan would be complete without a trip on the famed shinkansen. 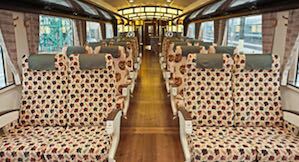 Not only will you speed through the Japanese countryside like … well, a bullet … you will enjoy exceptional levels of comfort and service and travel in style. Give your kids a trip to remember. 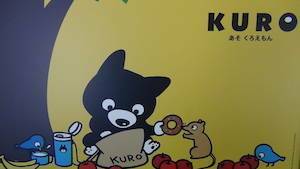 Aso Boy focuses on the mascot of Kumamoto Prefecture in central Kyushu. There’s a playpen, a kids’ library and even a (very brave) staff member to handle the excited kids. It’s a great chance for the parents to take a break. Jazz lovers can ‘Take the A-train’ and enjoy a drink at the stylish bar while listening to jazz and watching the world pass by. It’s a great throwback to a bygone era. A fun, classy and somehow surreal way to travel through the Japanese countryside in the twenty first century. Don’t miss the chance to ride on a fully restored steam train. This nostalgic trip is absolutely unmissable. 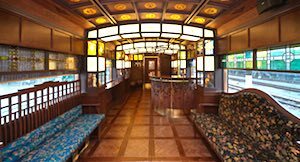 This beautiful baby is almost 100 years old but is delightfully restored with the classic ‘orient express’ look on the inside. Grab a seat in the observation car and enjoy the hiss, squeal and steam. These are just a selection of the classy and quirky rides you can take. From the causal amateur to the most serious train buff you’ll love the time you spend on the rails. 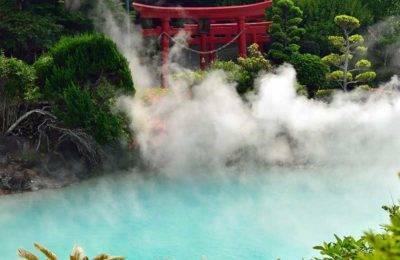 What better way to speed to Kyushu’s best hot spring resorts and traditional hotels. You can’t ride a train in Japan without eating an ekiben. The word ekiben (駅弁) simply means ‘train lunchbox’. It’s a Japanese tradition loved by all ages. Take a look at any major railway station in Japan for an amazing choice of delicious-looking boxed lunches. 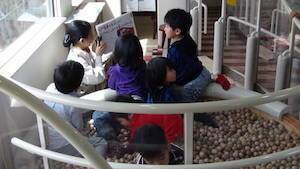 Of course, in Japan, tradition generally meets the future. Check out one of Japan’s self-heating lunchboxes. Traditional Ekiben. Photo by me. 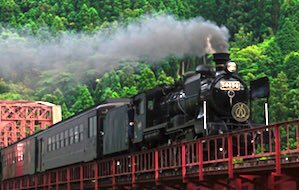 Train travel in Kyushu is an experience not just a means of transport. Don’t miss this delightful part of your holiday. Get in touch and we’ll help put together a journey just for you. 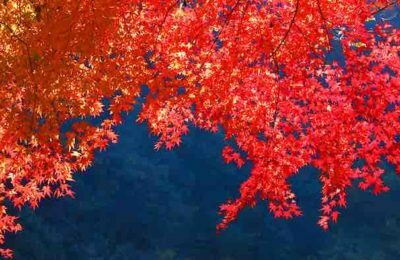 Kyushu Autumn Tour 2019. 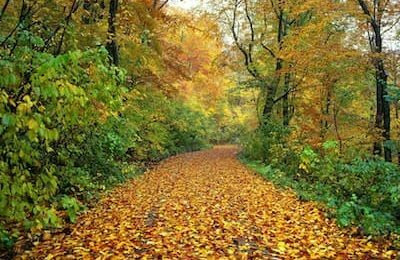 See golden leaves and sample tastiest Kyushu cuisine.